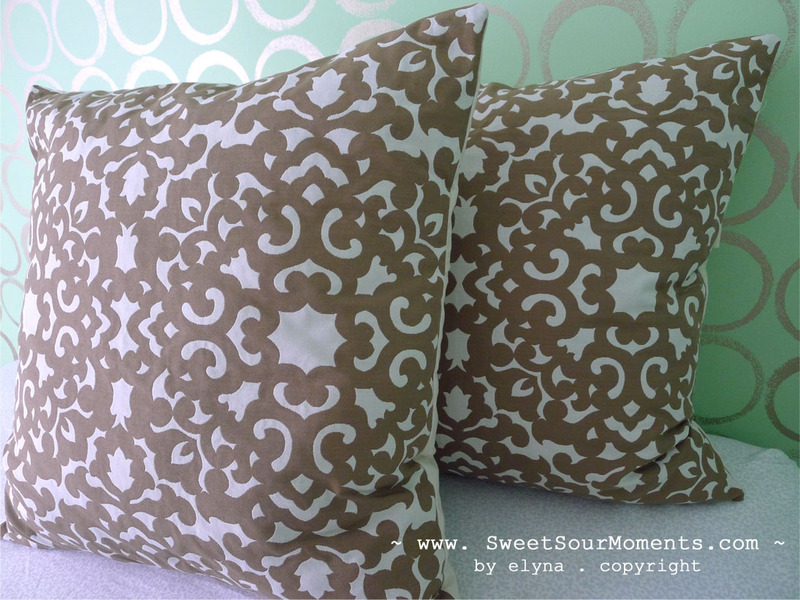 Since the guest bedroom bed doesn’t have headboard, I put these pillow shams to add the height and also act like a headboard (kind of). 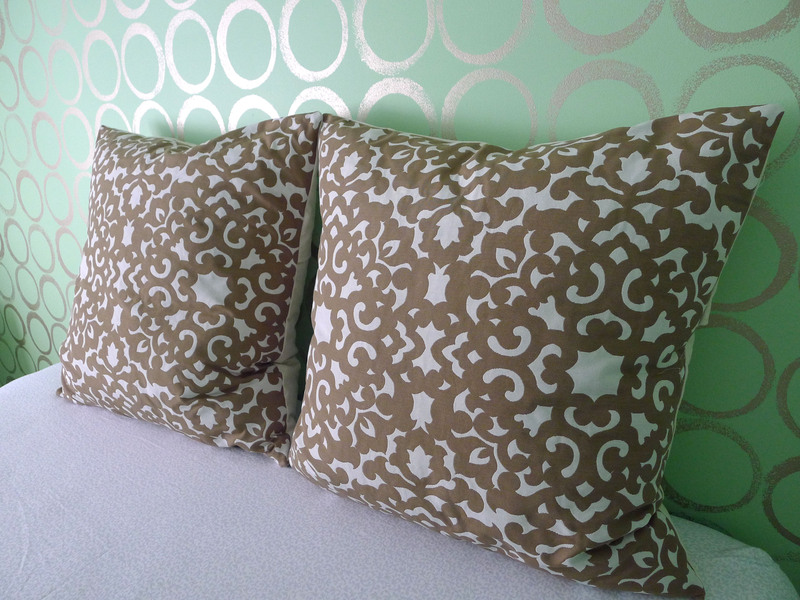 As mentioned in previous post, as the result of the wrong color paint I need to work around the gold circle stamp accent wall while decorating this room, so I picked this brown geometric fabric from JoAnn store with 50% + 25% discount, what a great deal! 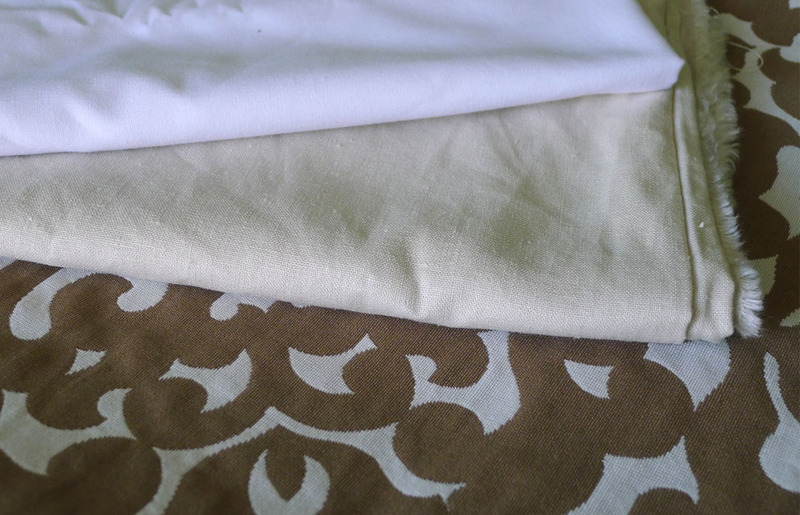 I’ve already had 2 big pillows in 26″x 26″ size, the pillow sham is sewn in 25″x 25″, smaller, for puffiness. 1. 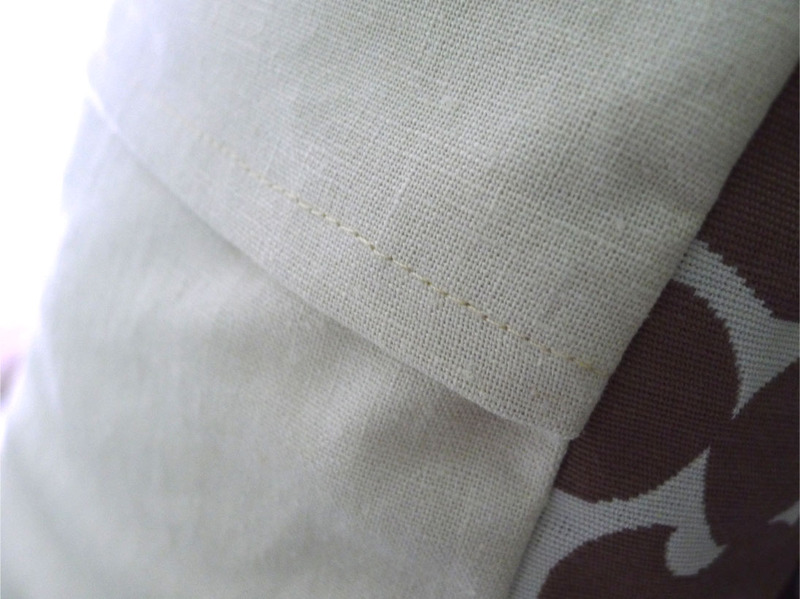 The front fabric, the linen back fabric, the back lining fabric (for lining the linen). 2. 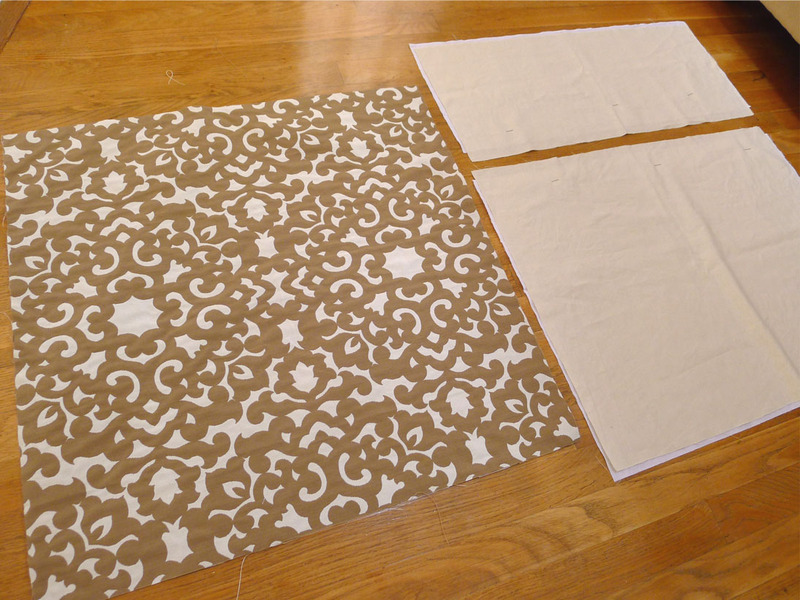 Cut fabrics, add 4″ overlapping fabric for the back, plus seam allowance ( I used 1/4″). I added another 1/4″ seam allowance for back lining in order the wrap the edge in final step to cover frayed fabric. 3. 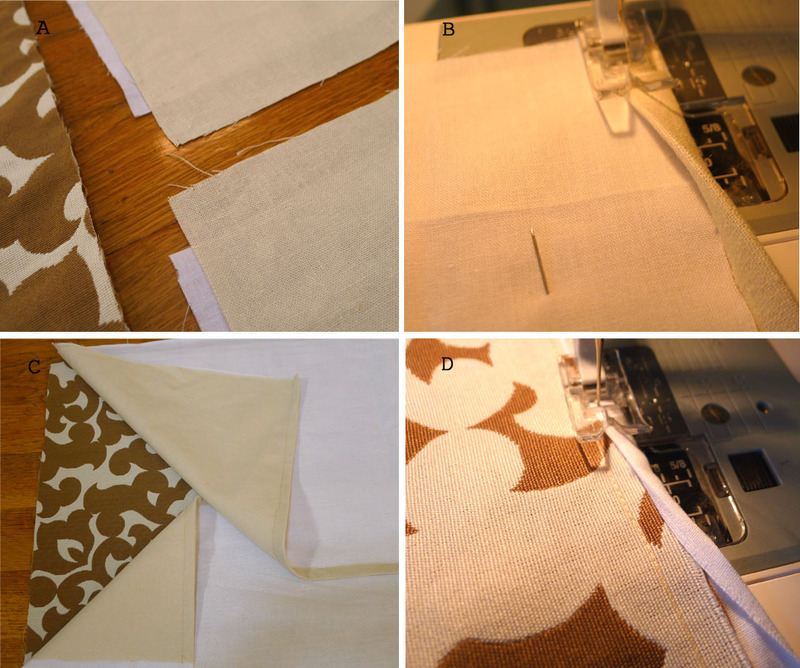 A. fabric arrangement; B. Sew the back fabric (linen) and lining fabric; C. Sew all the fabrics with right side facing together; D. wrap the edge with lining fabric to avoid fraying. 4. Flip inside out, here is the closer look at the back.